HomeChildren's MusicWhat are “Practice Tracks”? Practice Tracks are an important addition to the variety of tools you use to learn music. You can take private lessons or try to find suitable online music instruction, but practicing on a regular basis is very important. Practice tracks help make your practice time interesting and productive. Every musician knows learning to play along with real music and other musicians is best. And short of playing in a band with other musicians, a good way to learn to play songs is to use practice tracks. Practice tracks (or “prax trax”) are songs you can play along with. They are great because they are recorded by actual bands. Or sometimes they are midi tracks created in a digital music composition program like the free one available from Musescore, NCH, or many others. 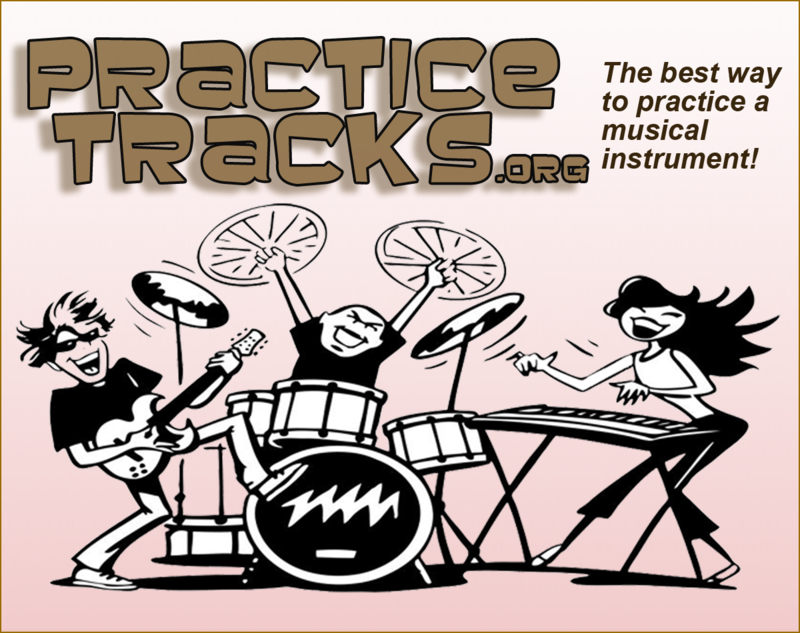 A practice track, like the ones available at practicetracks.org, will sometimes have the band parts (different musical instruments) broken out. That way you can see the written music for the part you are interested in. So, for example, here is a song with guitar, piano, and bass – Imagine by John Lennon. We have the parts and it is available in seven different keys. Here’s another example, but this one has the drum part for you too. Bad Moon Rising by CCR. This is an example of how guitar players, bass players, and even drummers will find practice tracks of both simple songs and classic pop and rock songs. All arrangements are available in standard musical notation. And on top of that, you can actually play the musical arrangement right in your internet browser. Even better, you’ll be able to play right along, as you learn the song and refine your technique at your own pace. It’s definitely the way to go. Here’s another great example made famous by Bonnie Raitt – Something to Talk About – with a saxophone lead.